My Creative Existence: Inkurable Stampers - February Challenge! 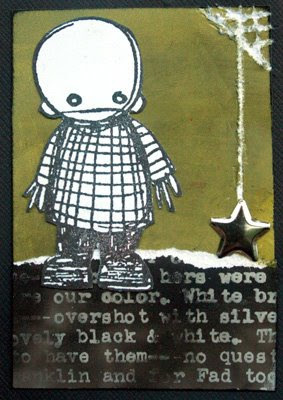 This month, the challenge I have set over at Inkurable Stampers is "Soot Stamping" - i.e. 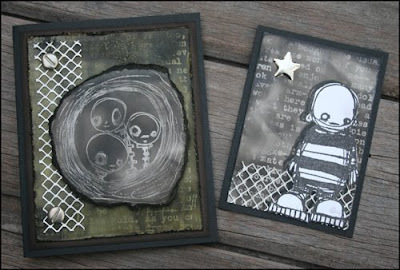 create a project using the Soot Stamping technique. I've put a full tutorial on the blog (with pictures), so don't worry if you've never heard of it! You'll soon have the hang of it and I promise you'll have lots of fun with it! Full challenge details and more pics of my examples can be found here. ooohhh Fabby Card and ATC's Sarah!!! What fabby stamps for the soot stamping! 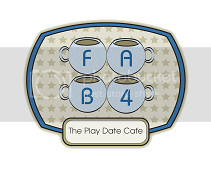 The creations you design for each challenge dazzle me! I love this set and adore the stamps!! !